A Russian base is slated to be built on the surface of the Moon, and now robots will perform the bulk of the work. After which, people will visit the base to set up equipment, according to Lev Zelyony, Deputy Chairman of the Council on Space Research of the Russian Academy of Sciences, Director of the RAS’s Space Research Institute. Russia intends to construct two strategic observatories on the Moon for radio astronomy studies, cosmic ray research, and other applications noted Zelyony. He added that the majority of operations would be carried out by robots and the observatories should function in a semi-automatic mode where human intervention is rare. Zelyony also specified that a permanent human presence is just not necessary when you take into account that robots can do most of the functions. Moreover, it is dangerous for humans to stay for a long time on the Moon due to radiation but a human presence on a rotational basis to set up and verify the equipment would be very useful. However, the deputy chairman didn’t expand on the timeframe for the construction of the lunar observatories. On November 28, the RAS Council held a meeting with the participation of Roscosmos CEO Dmitry Rogozin and RAS President Alexander Sergeyev, where the Moon exploration program was talked about. 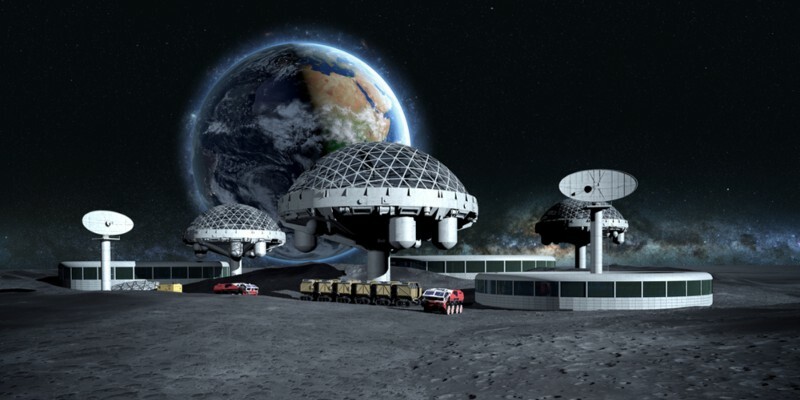 A source in the space industry told TASS on that day that the RAS Council on Space Research backed projects establishing an inhabited base and observatories on the Moon. The lunar exploration program should begin with the launch of automated stations, followed by a preliminary Moon orbiting mission with cosmonauts, and then landing and establishing the infrastructure. The launch of the first automatic mission, the Luna-25, is set for 2021. Zelyony previously said that Russia’s Moon exploration program would be finished by next spring. However, the timeframe for the implementation of its stages, or the estimated costs have not been announced. The post [Robots to Carry Out Most Tasks Aboard New Russian Lunar Base](https://.com/robots-russian-lunar-base/)appeared first on [Asgardia](https://.com/).